What Are The Rules Regarding Drones / UAV / Quadcopters in Indonesia? For drones that fall into Category 1, and weigh less than 2 kgs, no prior permission. However, if your drone falls weighs more than 2 kgs, requires a permit from the General Director of the Department of Civil Aviation. For drones that fall into Category 2, and weigh less than 2 kgs, no prior permission. However, you require to be a licensed drone pilot and have your drone insured. For drones that fall into Category 2, and weigh more than 2 kgs, a permit is required from the General Director of the Department of Civil Aviation along with the licence and insurance papers. Respect others’ privacy when flying your drone. You must fly during daylight hours and only fly in good weather conditions. Do not fly your drone in sensitive areas including government or military facilities. Which is the best drone for travel? Best drone accessories? Best drone bag? Find out which drone and drone accessories I use, and recommend. Can you carry a drone into Bali? Yes, there should be no issues carrying your drone into Bali at the airport. From what I saw and learned, Bali is fairly drone-friendly island. Drones are a very common sight, especially near the beaches, and other major tourist attractions such as waterfalls. Carrying a drone in and out of the Bali airport should also pose no issue. However, you must know that most temples prohibits drones within their compounds. I know there are many drone videos of temples on YouTube, but I’d still ask you to respect their wishes and not fly near any temples. Don’t ruin it for the rest of us. Also, the resort that I was staying in Sanur asked all drone pilots to seek prior permission. It seemed that many pilots wanted to fly their drones right above the property, and had caused a nuisance for guests. The property had received many complaints from other guests. The Property Manager was kind enough to take me to a part of the beach from where I could take off and fly my drone. He also mentioned that I should avoid flying above any of the properties along Sanur Beach. Remember to take prior approval from your resort/property in Bali before you send your drone into the sky. Do not fly near, or above temples. Some may let you off with a fine, but it’s not worth breaking the law. And remember to always fly safe! And don’t forget to check out my highlights video from Bali. Hi. May I ask what drone do you use and roughly around how high does your drone usually fly to achieve a good aerial shot? Thanks! I’m new to the drone world and I’d like to know what thigs should I consider in getting myself one for travel and recreational purposes. Thank you. Hey Ana, I use the Mavic Pro and a bunch of accessories that can be found on this page. The drone can go as high as you want it to. However, you must be mindful of the local laws regarding the height. There is no fixed rule about how high you need to be to get a good shot, it depends on the subject you’re trying to shoot. It’s all about what you’re trying to capture in the frame. Hello there, I am buying a drone which weighs below 2kg and using it for recreational activities. I’ll be visiting Bali next month. Is carrying drone in and out of India for Indian citizens an issue at the customs? Under the new regulation it should not be a problem. Do you have a UIN for your drone? First of all your information was really informative. 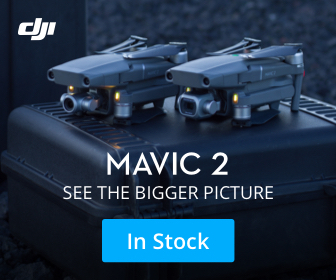 I am travelling to bali in the end of January and will bring my DJI MAVIC pro.